Look what I came across on Twitter! A revolution in shaker cups. I think this is the next best thing delivering your supplementation on demand…No more carrying around two shakers etc. What do you think, I love the vibrant colours 🙂 you would think that I get these for free the way I market them but NO I just think this is a great invention! 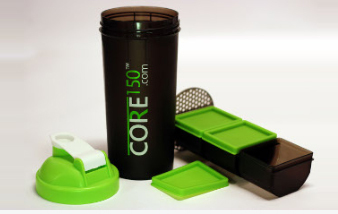 Posted on May 2, 2012, in Daily Post and tagged Claudine Kidson, Core150 Shaker Cup, social-media, Supplementation, technology, video, Whey Protein. Bookmark the permalink. Leave a comment.